Where to find Statistics Internships? A talk from the Internship and Career Center about where to find internships and how to apply for them followed by an informal forum with student who have previously done internships. 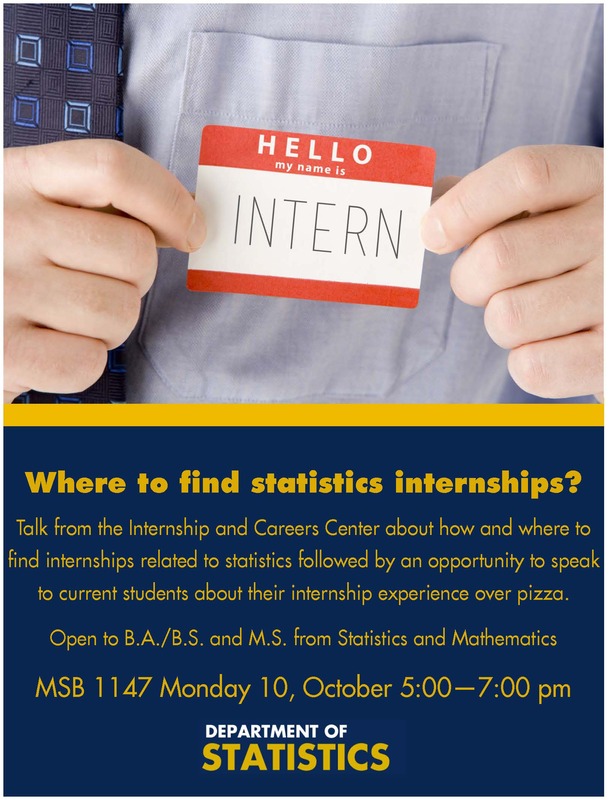 Open to undergraduate and graduate students from Statisitics and Mathematics.